The International Data Corporation (IDC) predicts the home security industry will triple in size by 2022, as people start to look for systems that can be integrated more seamlessly, intelligently into the home. That means telling Alexa, “Arm my security system” as you walk out the door is only the beginning. So if you’re in the market for a home security system but are looking for something more manageable, you’re not alone. But true home security involves more than a robust alarm system. Just like CO alarms are a necessity in the home but not a replacement for careful upkeep and maintenance of all your fuel-burning appliances, a home security system can’t completely cover for healthy, mindful habits around your dwelling. In some cases, adding security to your home won’t cost a thing other than a little forethought. Burglary accounted for over 18% of all reported property crimes in 2017, according to the Federal Bureau of Investigation’s (FBI) report, right behind larceny theft. For the first six months of 2018, the number of property crimes decreased when compared to data gathered from the same time during 2017. Home security is personal, and what’s highly-anticipated for the rest of the country might not be for you. But you can put yourself in the shoes of a burglar to account for their steps when securing your home. One study done by the University of North Carolina at Charlotte surveyed incarcerated burglars and showed that they were less likely to follow through with their plans if they saw a home was protected by alarms. Nearly 60% of respondents said the presence of an alarm alone would cause them to seek an alternative altogether. This means burglars look for the path of least resistance, so if you have a yard sign or window decal that lets people know they’re on camera and could trip a security alarm, it’d probably help to place these somewhere visible. A back door shrouded with darkness and shrubbery makes an ideal starting point for a burglar. 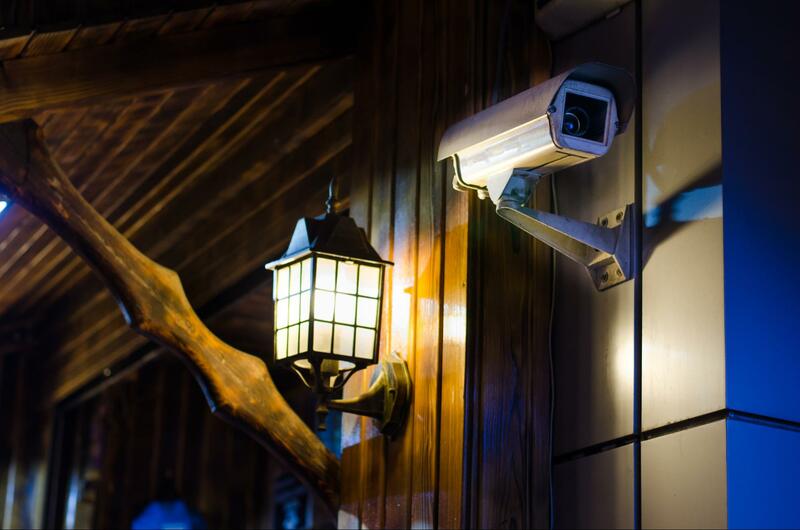 Placing a floodlight, camera, and surrounding window sensors in these types of areas helps — but it is recommended you place these types of equipment high enough to where intruders can’t tamper with or destroy any wiring. The Insurance Information Institute (III) recommends keeping valuables away from areas that could be easily seen from outside the home and rearranging your furnishings in a way that seems less “inviting.” Simply remembering to close your curtains could work, too. Burglars go for areas they think hold all your valuables, like master bedrooms, according to Glenn Kurtzrock, a criminal defense attorney and former homicide prosecutor. He told us in our roundup of the best home security systems that “burglars don’t like to spend a lot of time in a house regardless of whether there’s a security system,” meaning they’ll go straight for the places they think hold all the fine jewelry and pricey electronics. Our suggestion? Put a security camera in the master bedroom, too. According to the FBI, the number of residential burglaries that occurred during the day almost doubled those that occurred at night in 2017. As Frisk mentioned, intruders generally don’t want any resistance, so if you’re around, an intruder might be less inclined to bother. This means it’s just as important to lock your doors when you leave for work in the morning as it is before you go to bed. If you have an alarm system, it’s also crucial to arm it during the day while you’re gone. We can’t tell you which is best for you, because the answer depends on your home and preferences. But we can help you weigh the pros and cons of each. Do-it-yourself systems are becoming increasingly popular. These allow you to monitor your home via mobile notifications, emails, and live-streams from cameras (some professionally-installed systems do this, too), but some DIY options give you the freedom to opt-out of paying for the added assistance of a professional monitoring center. In some cases, DIY companies will even let you opt into professional monitoring on your own terms, for weeks or months at a time, without a contract. While DIY systems are cheaper in the long run than professionally-installed systems, but they sometimes come with heftier upfront equipment costs (and more time dedicated to diligently monitoring your home and calling the police on your own). With a professionally-monitored system, you’ll typically get a consultation with a representative to decide what equipment best fits your home, a technician will install everything for you, and in the event you can’t verify an alarm, help will be sent on your behalf regardless. So if you don’t want to rely on your own understanding of a system — leave it to someone with the expertise. Do note though, that these could cost more over time, with monthly fees ranging from $40-$50 or more. False alarms can be expensive for consumers and waste first responders’ time. In Charlotte-Mecklenburg, for example, users have to register burglar alarm systems with the CMPD, as it’s one of many jurisdictions with a false alarm ordinance. With over two decades of Charlotte-Mecklenburg’s false alarm ordinance in place, the department has found that over 98% of all alarm calls are false — and the fine for having 10 false alarms or more can reach $500. But even some “false” alarms should still be taken seriously. One way to help verify whether an alarm is false (and potentially avoid a hefty fine) is to install security cameras over areas of interest. If you pay for professional monitoring, you can call your monitoring center to alert the alarm as false. If not, it’s important to be sure you know any passwords, disarming tactics, and ways to potentially adjust motion sensitivity levels for animals or when you’re away. 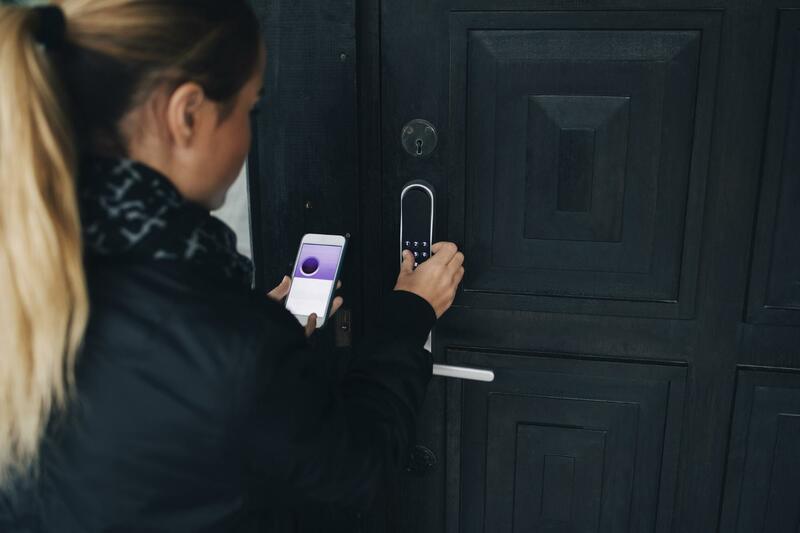 Depending on how automated you want your home to be, it might be worthwhile to take some time researching the products your security system can easily communicate with — including smart locks and lightbulbs. Some devices can eventually learn patterns of behavior in the home and turn on the lights when you walk in the door. Others give you the opportunity to lock a door while you’re on vacation or automatically unlock doors when a smoke alarm goes off. One way to check a product’s integration abilities is to look at its mesh networking support. Zigbee and Z-Wave are two well-known protocols in the home automation industry that allow device-to-device communication with very little power. If you don’t know where to start, experts have told us to first consider what type of voice assistant or smart home you use (Google, Amazon, Apple, etc. ), and then check to see what type of communication protocol that device can handle. Voice assistants typically serve as the hubs — or drivers — of smart homes and also come with their own set of risks. These few extra common-sense steps or “layers” could seriously help keep your home safe. Get to know your neighbors: Marcus Felson, a professor at Texas State University and an expert in criminal justice, told NPR that one way to reduce break-ins is to introduce yourself to your neighbors, so that they can get to know your routine and watch over things while you’re gone. Remove extra points of entry: Hide ladders and lawn tools, keep garage doors closed, and trim shrubbery to keep intruders from finding ways to enter your home. Don’t keep a key under the doormat: This could very well be one of the first places an intruder looks for a key — the best place to hide your key outside your home is to not hide your key outside your home. Be aware of what goes on social media and who follows you: It’s probably not the best idea to tell the internet when you’re leaving for Aruba and for how long you’re staying. Burglars or stalkers could use this information to find windows of opportunity to enter your home — that’s why it’s also best to be mindful of how often you share your location. Invest in good locks: A 2013 special report from the U.S. Department of Justice found completed unlawful entries (or entering a home through an unlocked door or window) accounted for the majority of burglary entries in 2011. Simply remembering to lock your doors could be an easy fix, but you also want to make sure those locks won’t fail you. Consumer Reports says the best type of locks use hardened steel or brass and steel reinforcement plates to prevent thieves from unraveling your system. Reinforce window and door locks: There’s no doubt you need a solid set of deadbolt locks, but if you want a bit of added protection, the Charlotte-Mecklenburg Police Department recommends actions as simple as sliding pins through the frame or placing broomsticks in the empty space on the track of a sliding glass door as backup. Talk to your insurer: Many insurers offer discounts for having home security systems installed, like fire, burglar alarms, and deadbolt locks. Not every system will get you a discount, but it is good to notify your insurer of what you do have and how it can trim your premium costs. 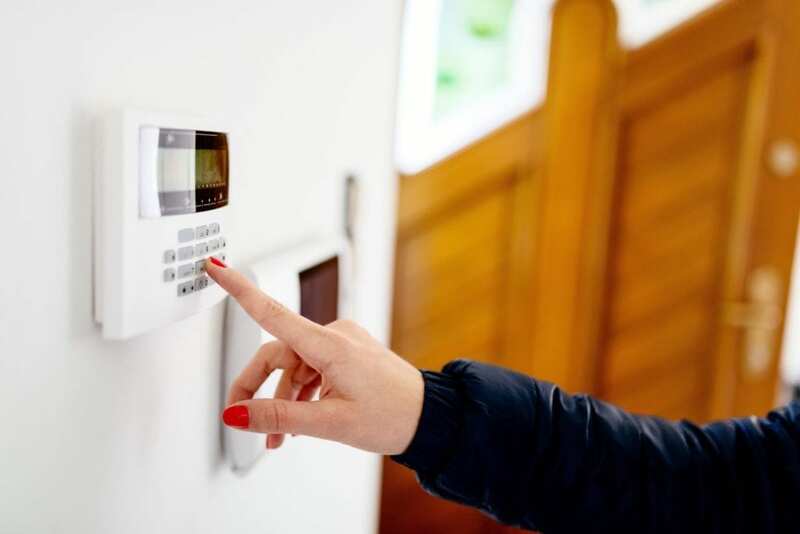 Navigating the home security industry can be overwhelming, especially when you’re trying to maximize protection at a cost that suits your budget. But it’s also crucial to think about how you can utilize existing structures in your home and reexamine your daily habits — home security requires a holistic, nuanced approach to reinforcing the home.